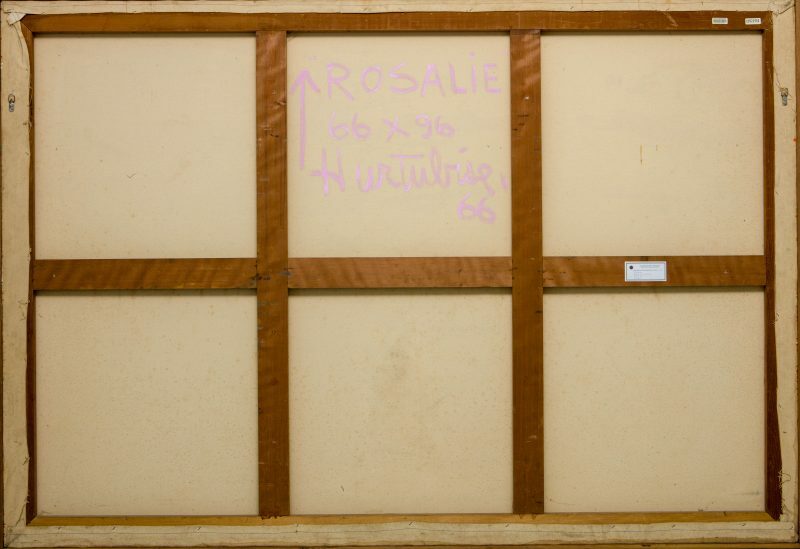 Rosalie and Philomène, two related paintings from 1966, respond to this formal requirement. Both have compositions in which the hard-edge splash occupies the entire pictorial surface, stretching well beyond the frame. 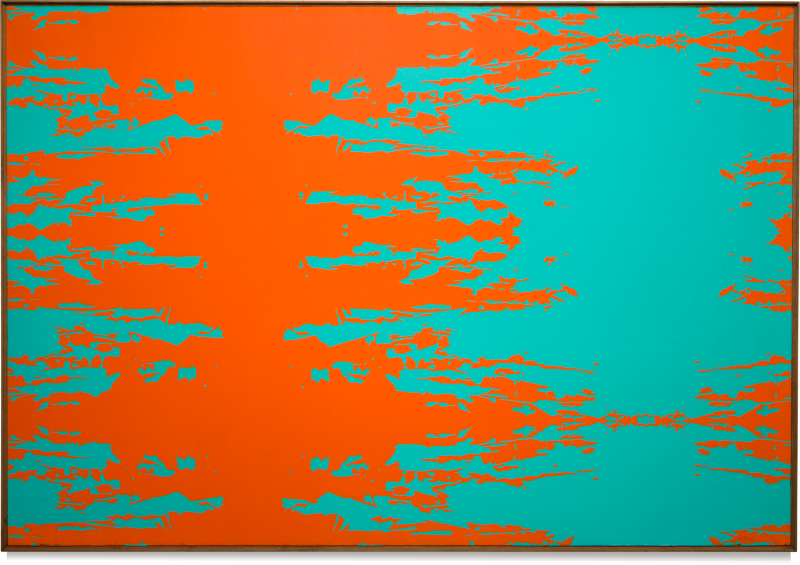 The former’s tertiary colours (orange and turquoise) and the latter’s pure contrasts (black and white) intensify the optical effect while maintaining its impenetrability. The painting’s centre of gravity, which oscillates between two side-by-side masses, perpetuates the illusion of image and surface plane. The principle of reversibility and interchangeability makes the optical play as effective as it is mysterious; Hurtubise has created a perfect subterfuge. Hurtubise’s first solo exhibition in New York took place in 1966. The following year, he and Jack Bush represented Canada at the 9th edition of the São Paulo Biennale.